I sit here today, looking out at the brown grass of Summer, and the many homes that have arisen in recent time. Previously I’d be looking at green pastures to the horizon. In the ten years since I came to live and minister at Currajeen Retreat Centre at Doreen (26 km north-east from Melbourne’s CBD), the landscape has changed. Our roads have been widened. New roads now exist. Painted Hills Rd is almost beside us; there are traffic lights at its entrance into Bridge Inn Rd where we are located. What was then our haven of peace, the Currajeen Retreat centre, is still a haven of peace – but its surroundings are different. Many new families have come among us. We meet them in the Supermarkets and in the Churches – a rich mix of cultures – Indians, Sri Lankans, Filipinos, South Americans, Europeans from Malta, Italy, Spain, and Austria, come to mind. It is all about people! Through my week I walk with people from far and near, who come for support in their living, for a quiet prayer, for an answer to questions, seeking a greater openness to our loving God. The interfaith community is strong in our Municipality of Whittlesea, as are Ecumenical involvements. Both are represented in gatherings of Spirituality in the Pub. Currajeen people are present in both, as they were in the recent gathering from the Christian Churches on the World Day of Prayer. Our Faith Sharing Saturday mornings with the RSC sisters of Melbourne have become significant for us across the years – a reflection time together and the shared company of lunch. These are Sr Maureen’s words describing changes she has noted since coming to Currajeen in 2009. She had been in Ireland on renewal. 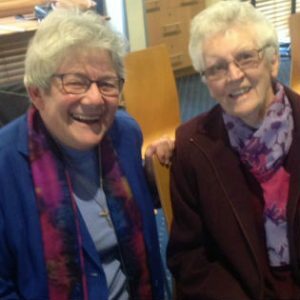 En route back to her ministry in Launceston at the Emmanuel Pastoral and Spirituality Centre, Maureen visited her friend and mentor Sr Margaret Dwyer at Currajeen. Margaret had become the Vicar for Religious in the Archdiocese of Melbourne. In conversation Sr Margaret asked: “Would you think about taking on this?” “This” was the ministry of Currajeen (“Spring of Living Water”) with its retreats, programs in spirituality, spiritual directees, outreach and welcome to all who come. Sr Maureen, who had grown up in Melbourne, had attended St Columba’s, a Sisters of Charity College in Essendon (she is a die hard Bombers’ fan), had loved her time in Tasmania. But the prospect of returning home to Melbourne, closer to family and old friends, and continuing in the ministry she loved, meant that she made the move. She had come for a short visit, and she has stayed, so far, for ten years. It is a ministry in which she has thrived. Now in her 80th year she is seeking to lighten her “load” – the long retreats might cease, but her listening and presence with people continues as spiritual director , guide. and gatherer of individuals. Her parish priest, Fr Martin, has seen Sr Elizabeth Costigan and Sr Maureen accompanying retreatants to Mass across the years, and is aware of parishioners who come to Currajeen for advice, support, a quiet space and friendship. “Yours is a hidden ministry, Maureen”, he said one day – words that delighted her with his awareness. In February, 2019 Maureen’s pastoral skills were particularly needed. Early in the month the people of the area were remembering and commemorating the 10th Anniversary of the Black Friday Fires. The memorials of those days were magnificent and brought the community ever closer. And, there were those for whom it was too much to participate – yet they knew strong bonds through tragedy and support for one another. “I am a survivor, not a victim!” she heard often, and they are memorable words. She had to draw on her own deep well of pastoral care and rich spiritual development to help those who were clearly suffering. These are just some chapters in Sr Maureen’s journey with the Sisters of Charity. She was educated by the Sisters, and when she left school she worked with the Civil Aviation Authority. Like so many Sisters of Charity, she had considered a possible religious vocation while she was at school, but had decided when she entered the work force that was not her path. And yet . . . .
She entered in 1959, telling herself that in six months she would be home. However, she was soon involved in the Novitiate and in teacher training. Her first appointment as a secondary teacher was at Bethlehem College, Ashfield, followed by the role of science mistress at St Mary’s, Hurstville. Later at St Mary’s, Liverpool she was in the science mistress role and then as religious education coordinator. Years of teaching ministries followed. In 1993, she went for renewal to the Jesuit Renewal Centre in Ohio. 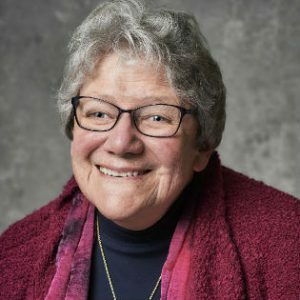 From that time, her ministries have been involved with retreats, spirituality, and adult faith formation – apart from the time when she was a councillor for the Congregation from the end of 2002 until the end of 2008. And that was when she came to Currajeen’s green pastures. As she looks into the future, she sees her life more involved with parishioners of the local parishes and continuing to be with Currajeen people who seek to meet with her. While Sr Maureen’s physical capacity might be declining with the years, her spiritual gifts have never been more needed. So that is where her focus lies in the future – among the people of the area she has come to know and where she is known in the local scene of Christ the Light Parish, that enfolds Mernda, Doreen, Whittlesea, and Kinglake.